Any time Roger Waters speaks against Israel’s protective measures I almost take it personally for some reason. I know I shouldn’t. But I have never gotten over the fact that someone I’ve admired for so long, so viciously attacks Israel while pretending he’s not being antisemitic. It’s like a personal betrayal. On February 1, 2014, Waters wrote a vile public note on Facebook to Scarlette Johansson. I wrote my point by point response here. On July 11, Roger Waters decided to write another note about his “dismay” at Neil Young among others in the wake on Operation Protective Edge. Since my original response was such a hit (2nd most popular post on this blog, not that I’m bragging) I almost feel obligated to give ol’ Pink another slap in the face one more time around. In January this year I wrote a private letter to Neil Young, it was sent via his manager Elliot Roberts’ email, I never received a reply of any kind. 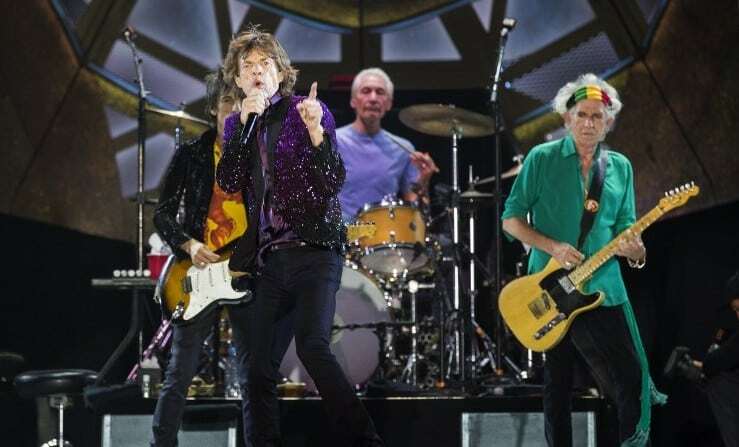 More recently I spoke openly about The Rolling Stones performing in Tel Aviv. In light of the appalling recent events in Israel and Gaza and my dismay at the the lack of any response from our governments and in a final appeal to Neil’s possible attachment to the rights of all human beings, not just the disenfranchised natives of North America, but all human beings all over the world, I am publishing that letter now. Waters has made comparisons to Neil Young’s activism for Native North Americans before. He can’t seem to understand how someone who supports Native North American rights can do something so preposterous as *gasp* perform in Israel. Israellycool contributor and First Nations Canadian, Ryan Bellerose, has gone into great detail many times on this blog about how those who compare Palestinians to Native North Americans are so wrong to the point that it is insulting to the Native North Americans. Let’s start with this foundation: Roger, your “dismay” is completely unfounded here. The picket lines have been crossed in this last year by one or two lightweights from our community but no one of your stature. At the time this letter was written, the “lightweights” who crossed the picket line were The Red Hot Chili Peppers, Rihanna, Alicia Keys, Eric Burdon, Alanis Morissette, among many others. After this letter was written, other “lightweights” like Deep Purple, The Rolling Stones, Soundgarden, The Pixies, and Justin Timberlake crossed the “picket line”. Woody Guthrie would turn in his grave. Roger and many other anti Israel activists have the tendency to assume dead people’s political positions. I don’t know much about Woodie Guthrie, but for a person who wrote Jewish-themed music and died when the “occupation” was a mere 3 months old, it’s hard to assume he’s turning in his grave about Neil Young’s decision to perform in Tel Aviv. In a previous note, Roger made reference to Martin Luther King Jr. to further his agenda. But we all know Dr. King’s position on the subject. Neil Young! You are one of my biggest heroes, you are one of a very short list, you, John Lennon, Woody Guthrie, Huddy Ledbetter, Harry Belafonte, Sam Cooke, Billie Holiday and, like some others, but not many, your songs have always been redolent of love and humanity and compassion for your fellow man and woman. I find it hard to believe that you would turn your back on the indigenous people of Palestine. Never mind the “indigenous” thing… that link will take you to that argument. What I find hard to believe is how performing a show in Israel is considered “turning one’s back” on another. If the performer wants to, he can perform in Gaza City or Ramallah to a screaming crowd of Palestinian fans and report back on how well that goes. If it doesn’t go well, you can’t really blame Israel for it, can you? Although Israel normally gets blamed for outrageous things anyway. That you would lend support to, and encourage and legitimize, with your presence, a colonial apartheid regime, largely settled from Europe, that seeks to confine the native people of the land, either in exile or in second class status in reservations and ghettos. 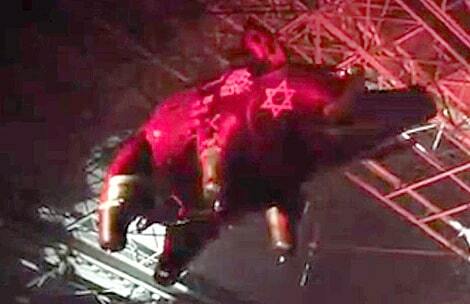 Ah here it is… the moment Roger Waters proclaimed to the world, “I’m not antisemitic” has just gone up in smoke. In this one sentence, he managed to use the apartheid smear, claim most Israelis are “settlers” from Europe, use the colonialist smear and draw comparisons to the Holocaust. It reads like a tweet from the worst antisemitic scum on the Internet. Although it has been proven over and over again, it bears repeating until your ears bleed. Israel is the furthest thing from apartheid. Rather than waste precious pixels explaining this point I’ll direct you to the 2 best places on the Internet in my opinion to dispel this ridiculous lie: Elder Of Ziyon’s poster collection and if you like it explained to you in rhyme, Ari Lesser’s Israel Apartheid (Aussie Dave adds: and not to forget posts on this very blog). With regard to Waters’ charge of “colonialism”. 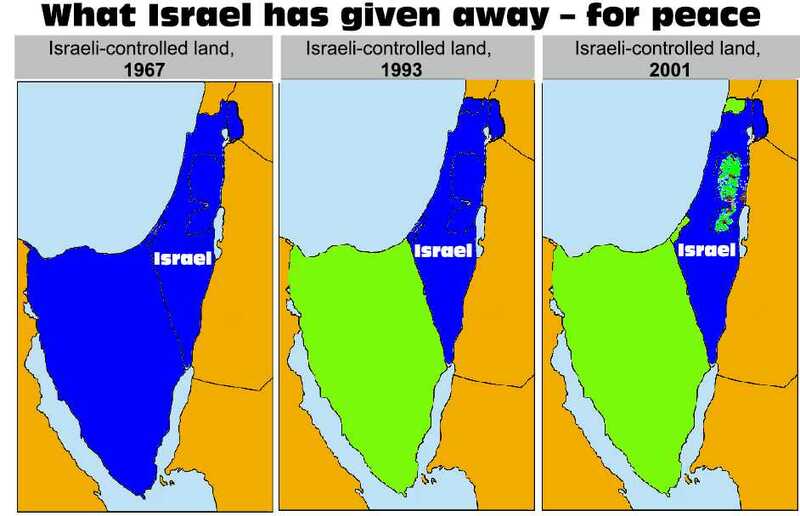 Can you please tell me what colonial power in the history of mankind gives up land voluntarily for peace? OK, now the “European settler” and “ghetto” parts. Roger Waters, you have many fans, followers and a lot of clout in social media thanks to your musical successes. And now you just went on social media and basically told the world it’s OK to make light of the Holocaust and use it to further your political agenda to demonize Israel. In Israel, every year, on Holocaust Memorial day, the sirens go off and we pay our respects. This is what it looks like. The comparison has no place anywhere, and I think you owe the Jewish People an apology for even suggesting it. This is classic Godwin’s Law. I’ll let Jon Stewart explain the ridiculousness of the Hitler/Holocaust comparison. To say such a thing means you have no idea what really happened in WWII despite having dedicated an entire album to the subject, despite “your father fighting the Nazis”, you have no idea of why it was necessary to establish Israel and you have no idea where the people of Israel came from. As an Israeli, none of my ancestors ever set foot in Europe, and neither did more than 50% of the population of this country, they were banished from the Arab countries and forced to leave with no possessions. Many came from Ethiopia or Russia to escape persecution. And many were in Israel all along, uninterrupted for 3000 years. But wait a minute, you make it seem like coming from Europe is a bad thing. Is it not enough that they risked their lives in the hundreds of thousands to find refuge against the horrors of Nazi Germany, many turned away or killed in the process? I call on you to substantiate a single comparison to the Holocaust with proof, or apologize. And God help me if you bring up the “Naqba” as a comparison to the Holocaust. The rest of the letter is a ridiculous comparison to Natives, what he thinks Nelson Mandela thinks and then goes into the Prawer Plan as “proof” of Israel’s evil. Just like any Israeli plan specifically designed to resolve problems with certain minorities and to provide long term assistance to them, such as the “Palestinian Bus Line” to assist Palestinian commuters to more quickly get to and from work every day, Israel gets total backlash from the haters who will twist its purpose into something it is not. The Prawer Plan is seen by Waters as the ultimate in Israel racism. The idea was to provide long term economic assistance to the Bedouin community, but since it didn’t receive enough support in the Knesset, the bill has been halted. Not that it matters. The fact it was raised in the first place is enough for a rabid Israel hater like Waters to foam at the mouth. Mr. Waters, your rabid hate for Israel is spilling out into antisemitism. You are attracting people of the worst kind to support your cause. Al-Qaeda, ISIS and Hamas fans are flocking to your Facebook page with messages of support. You even went on record saying Hamas is interested in peace. The same Hamas that launches rockets at civilians and urges its own civilians to be human shields. These are the people you are attracting. People who are committing ACTUAL genocide. Don’t you think this is a sign that you should think twice about the people you support?